Since 09/2009 scientist at Klaipėda University, Lithuania. 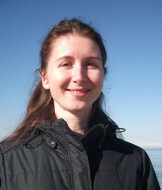 Guest scientist (2014) at Leibniz-Institute for Baltic Sea Research Warnemünde, Germany. Since 04/2015 part-time scientist in the international project BaltCoast at Leibniz-Institute for Baltic Sea Research Warnemünde, Germany. Lecturer (since 2009) in Nature and at Klaipeda University, Lithuania. Courses within Bachelor and Master studies Ecology and Environment and Biology. Coordination (2010-2014) of international Erasmus Mundus master program „Marine biodiversity and conservation“ at Klaipėda University.